This single 'Carpe Diem' token is a token of inspiration to remind your friends to seize every opportunity. 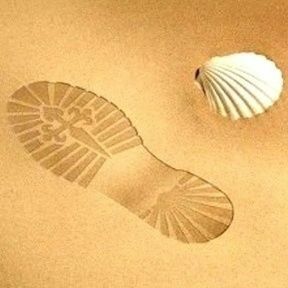 Life is short and we never know what is round the corner. Remind you friends and loved ones to make the most of each day and fulfill their dreams. The token says "seize the day" on the back and it is made from lead-free, cadmium-free pewter that is certified safe. 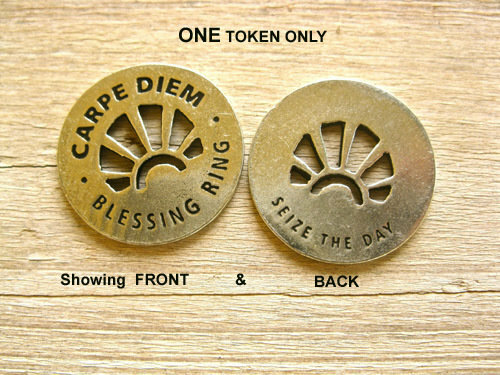 On the front of the token it says"CARPE DIEM BLESSING RING" and on the reverse "SEIZE THE DAY". Carpe Diem necklace is also available. The token is strung on a thin adjustable brown waxed-cotton cord (so you can set your own length). Please choose from the options box when ordering. . . a little something with a lot of meaning and a wonderful gift to inspire a friend/colleague/loved-one. Ideal graduation gift. Comes gift-wrapped, like all our presents - and we can print a personal message on your behalf.